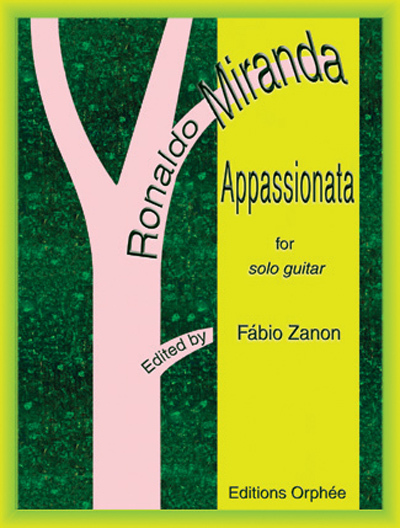 Appassionata, Ronaldo Miranda’s first solo guitar work, was composed in 1984 but had to wait until 1996 for its premiere. The title, like those of several other works by Miranda, is borrowed from the historical repertoire, but there is no connection to Beethoven’s sonata; it rather suggests the character, alternately pugnacious and abandoned, of a compact and vigorous sonata-form. Miranda provides the guitar repertoire with a portentous piece, largely indebted to the late-Romantic pianistic tradition, written in an instantly recognizable style of luscious harmonies and large gestures. Cover art is by Giacomo Picca.